According to Monetate, consumers spend upwards of $17 billion annually on Valentine’s Day gifts, a fifth of that online. Its also a great time for you to gain awareness with fans and users (and perhaps sell some music). 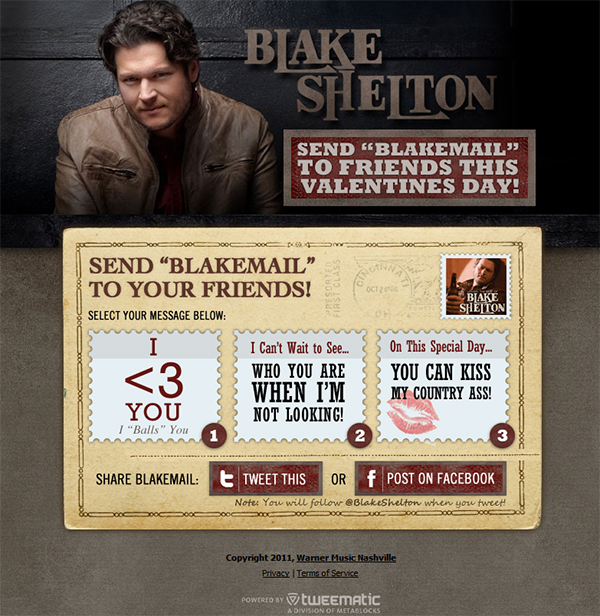 Here is the first in our series of both old and new Valentine’s Day social media campaign ideas.